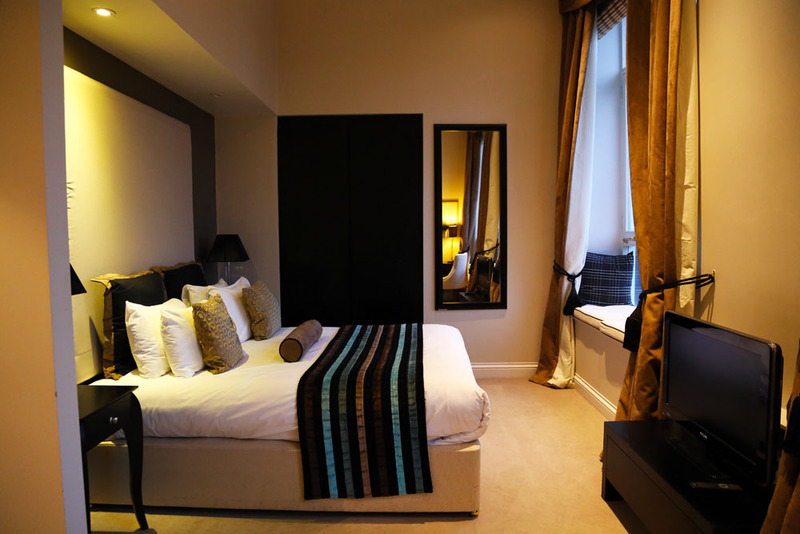 Fraser Suites, luxury accommodation edinburgh city centrewhere to next? I’m spending my first Christmas in Edinburgh since I was eight years old, and that’s exciting enough, but the view from our room at Fraser Suites makes it really special. 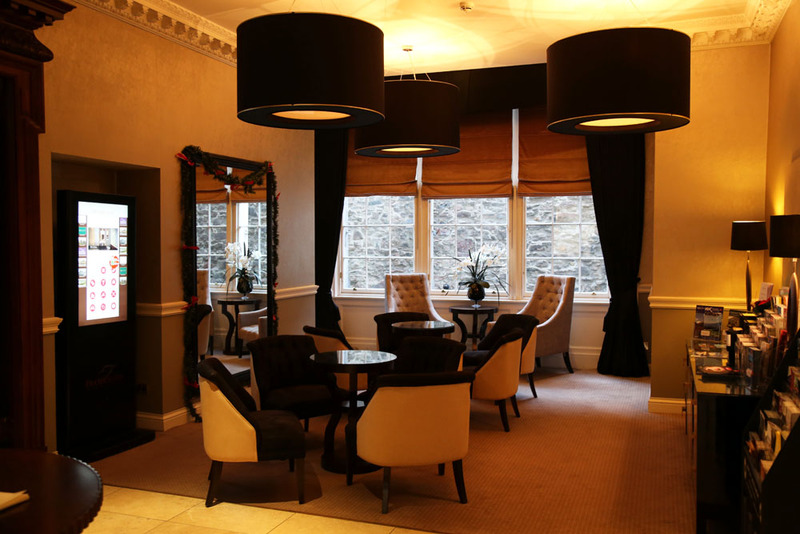 The hotel is in a heritage-listed building, just off the Royal Mile, opposite St Giles Cathedral in St Giles Place. So it’s high on the mound, within spitting distance from the Castle gates. 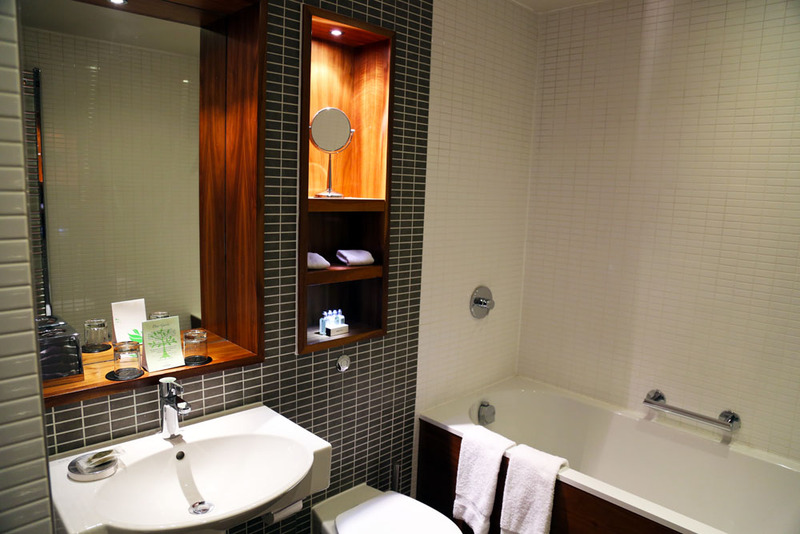 This is truly luxury accommodation in the Edinburgh city centre, and for a reasonable price tag. I couldn’t have picked a better place to rediscover Edinburgh. 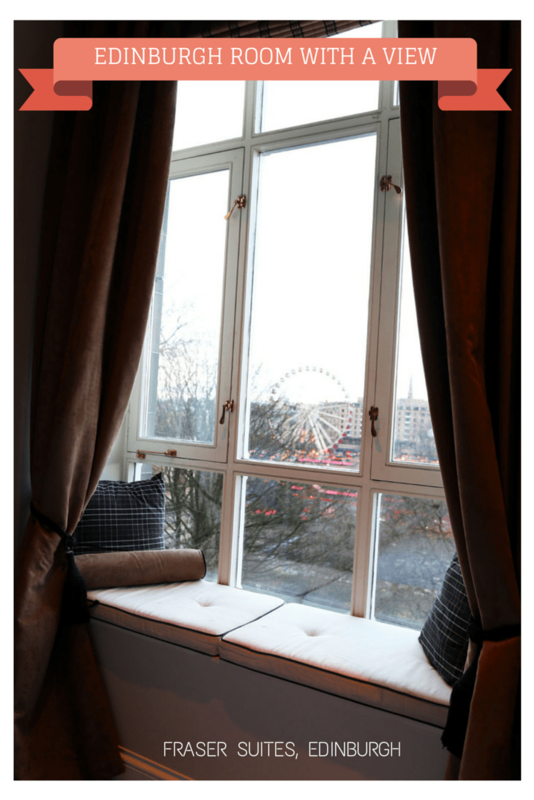 I’m torn between curling up in the window seat to stare at the view, and getting out there to explore the city. The room is beautifully furnished, with a fully equipped kitchenette, complimentary wifi and lovely smelling L’Occitane en Provence toiletries (yes, I took them with me when I left). Breakfast is in the Broadsheet Bistro so named for the printing presses it once housed for the 19th Century broadsheet; The Edinburgh Courant. Seated again by a window, this time looking onto the cobbled street leading to St Giles Cathedral, I treat myself to a full Scottish Breakfast, which includes haggis, black pudding and potato scones (yum). So once we’re sufficiently stoked up for the day, we head outside to wander up and down the Royal Mile. It’s a wonderful start to our holiday. Location: St Giles Street, Edinburgh. More information and special offers on the website, including bed and breakfast packages starting at an incredibly reasonable £96 per room/night. Noted for my next visit to bonny Edinburgh. Last time we stayed in Charlotte Street in the New Town, so it’s the Old Town next… much wishful thinking happening here!